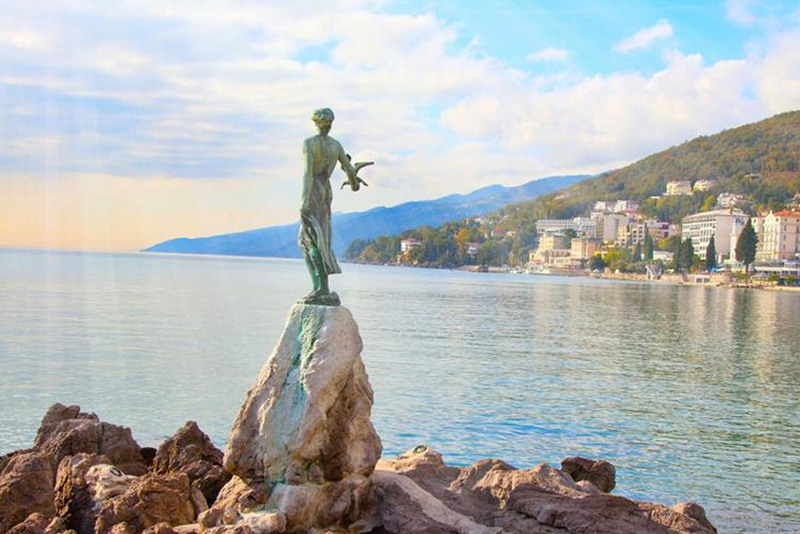 Meet Opatija, the pearl of the Adriatic that enchants you with its villas and parks while presenting its beauty and elegance of life it once lead, and Rijeka, the city built on the banks of the river, and its backbone, the high street called Korzo! Rijeka is a multicultural heart of Europe that meets all people of good will with its arms wide open. That is the city to be seen when looking down from Trsat Castle! The castle’s history dates back to prehistoric times and the Illyrian tribe of Iapydes, followed by the Romans who built their fort there as well, and many other sovereigns who left their unique traces in this magnificent fortification. Take a walk on the colourful city market, meet the old town full of multicoloured shops and small galleries, show yourself on Korzo, the heart of the city with many cafes and shop windows! Opatija is thrilling with its elegance, villas and parks that tell of interesting history whose participants where European emperors and kings themselves. Opatija, the pearl of the Adriatic, well-known for its fragrant botanical gardens, parks and coloured villas, each telling its secret story that was always a meeting point of European aristocracy, elegance and style, where it was important to be seen, keeps the same atmosphere to the very day! Sipping coffee on one of the sunny terraces, enjoy the atmosphere of rich history of Opatija!